If worksheets had feelings they would be feeling pretty bad these days. 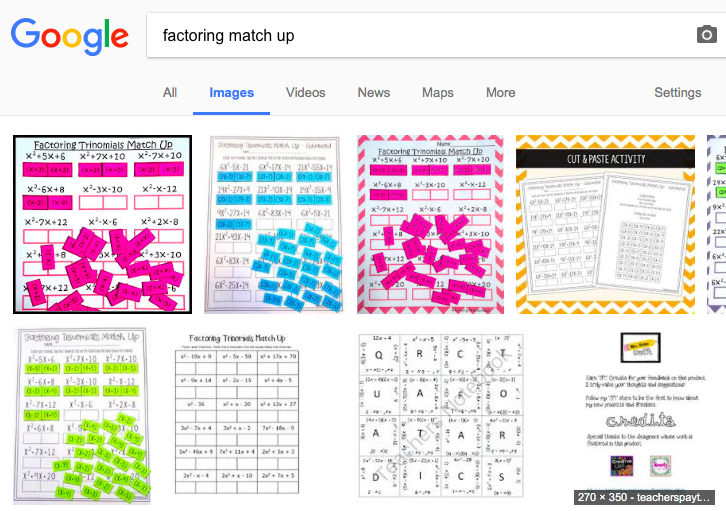 It seems like every time I am in a professional development session about anything (math related or not) the professional developers take potshots at worksheets and teachers who assign them. Admittedly there are some pretty bad worksheets out there and I guess if your classroom revolves entirely around worksheets that might be a problem. It is true that sometimes new technology like Khan Academy might be a better way to practice a skill but sometimes a well designed worksheet will also fit the bill. 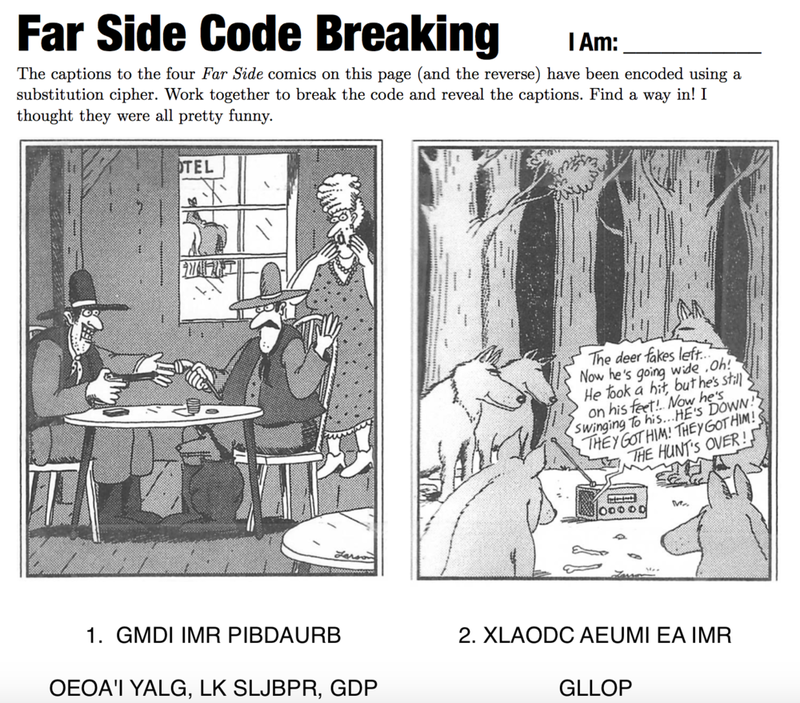 I like to create puzzle worksheets. I think good worksheets offer something you can't get from just doing problems in a textbook or on Khan. I try to make my worksheets interactive, engaging, and fun, while also offering practice with a topic. 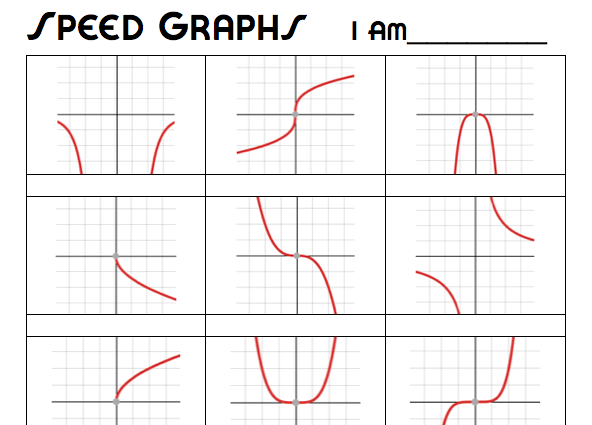 I also really love the Doodle Math Worksheets that Math Giraffe shares on her site and sells on Teachers Pay Teachers. 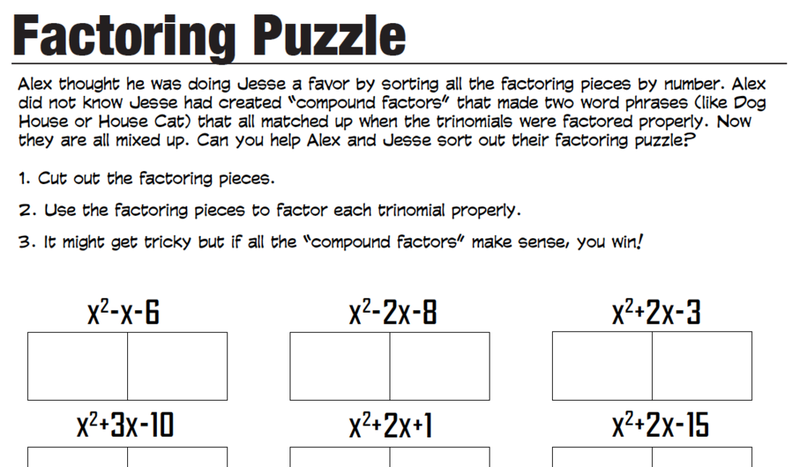 This was going to be a post to introduce a new puzzle worksheet I just created for Factoring Trinomials but I will save that for the next entry. 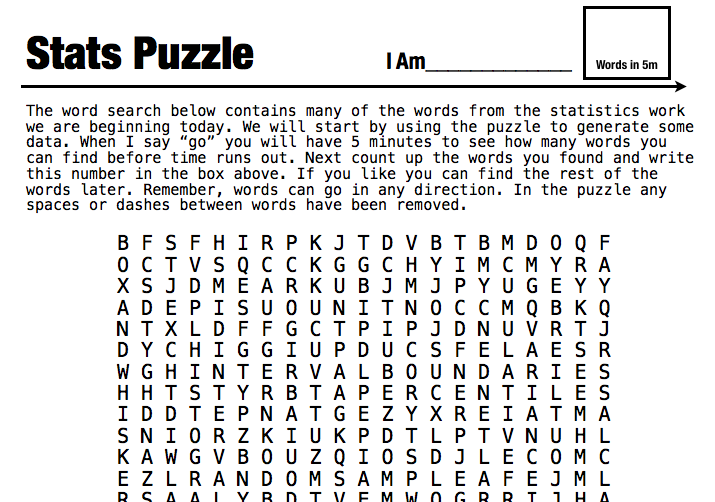 If you are curious you can find all of the puzzle worksheets I have created here. One of my teacher friends approached me a couple of weeks ago with a Jeopardy worksheet of mine I had apparently left around the photocopy machine. She wanted to know if she could use it in her classes, obviously yes. I figured I should post it here as well. I have presented before about classroom review games and Jeopardy before, but this was a new worksheet I created to encourage kids to come up with their own (hopefully clever) categories and to begin thinking about their upcoming final exam. It's not enough to just give kids this worksheet and expect them to come up with great categories, trust me. So in addition to handing out the worksheet I showed a few good Jeopardy clips (there are a ton on YouTube) and we worked together to brainstorm a few Jeopardy categories and sample questions together as a class. Here is the final set of categories I used this year in Algebra2. If you found this blog because of ISTE I'd love to hear from you! Let me know what else you'd like to see here! My school's graduation is two weeks away and I'm at home trying to write a speech for the ceremony while remaining calm. This is tough. 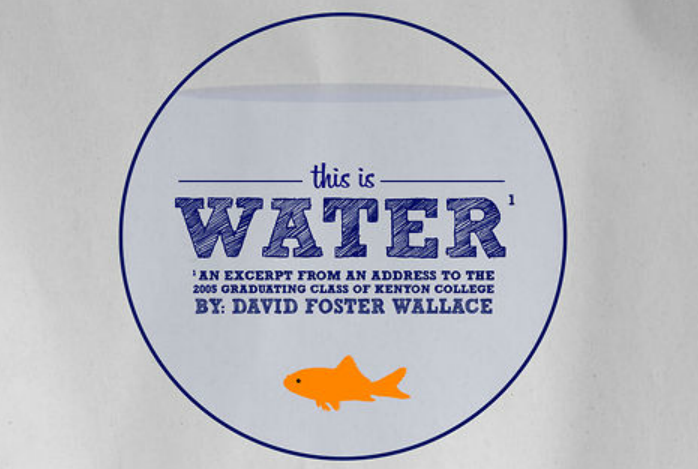 The last time I gave a grad speech I quoted a bit from David Foster Wallace's excellent This is Water Kenyon College commencement address. I will probably draw from Wallace again, the piece is timeless. In the very small cache of documents I saved to bring back from India to New Hampshire there is a worn copy of the entire thing. I've probably read it twenty times, still gets me. It turns out that a few days ago some folks turned an large chunk of the speech into a video. Click through the picture to check it out. Really great. Click through to watch the video version of This is Water. Here is a link to the full speech. Gameplay is in groups, and nearly identical to Danger Cards, a review game I wrote about earlier. But in this one the croc is the star of the show, although the kids still do lots of math. You will need the crocodile (obviously) as well as the Keynote presentation I use for the classes. I also print out worksheets for each round. 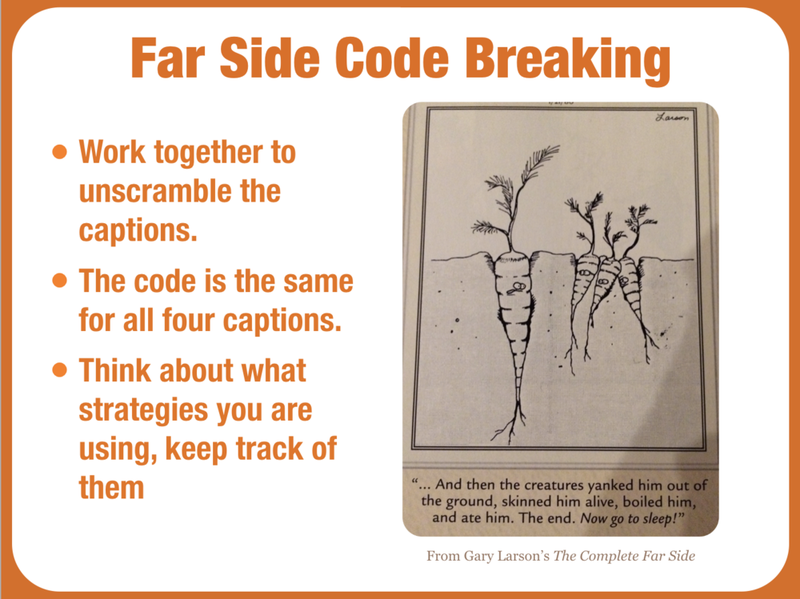 Below is also the link to the Pages worksheet set I made for the lesson I ran this week. Most of the problems are snapped from Sullivan's Algebra with Trigonometry book. Here are the rules straight from the presentation that I share with the kids, I've added a bit of extra explanation as well. At this point I jump immediately into the math by having the students work through the first page of questions. Teams hand in their worksheets as soon as they are done. Once most of the teams have handed in their sheets I cajole the final team into turning in theirs. During this part of the game I usually wander around the room making sure everyone is participating. The Dentist Round works exactly as described on this slide. This is always intense because the winner of the round will nearly always be suspenseful, although the teams who were successful on the problems will have an advantage. To keep everything moving I usually only let one kid at a time come up to the table where the croc is. The bonus round immediately follows the dentist round. The winning team plays for candy. The round is nearly always a blast, because over and over again kids will take "one too many trips to the well" and not get any candy! It's hilarious. Further, if they manage to push four teeth successfully I usually start offering them deals encouraging them to press their luck (and get eaten) good times. And that's it. Once the candy round is done we jump into round 2 and repeat. If you want you can keep score and have a grand champion at the end, I sometimes do this but it's not really needed. At the end of class I direct students to a Google Doc where they can access all the problems and solutions for additional review. This review game is a blast. If you give it a shot in your classroom let me know how it goes. Links to Amazon.com are affiliate links when reasonable. The other day my seniors, who are reviewing for their IB exam, wanted to play the Danger Cards game for a review session. I told them they if they made it, we could play it. Here is what I did. I quickly reformatted my Keynote slideshow to a Google Doc Presentation. The Danger Cards presentation is not fancy or anything anyway so nothing was really lost in the transition. I retitled the question slides with student's names and added blank answer slides after each question slide. Each student was responsible for creating one question slide and completing the subsequent answer slide. At this point I shared the Google Presentation with everyone in class giving everybody edit rights. 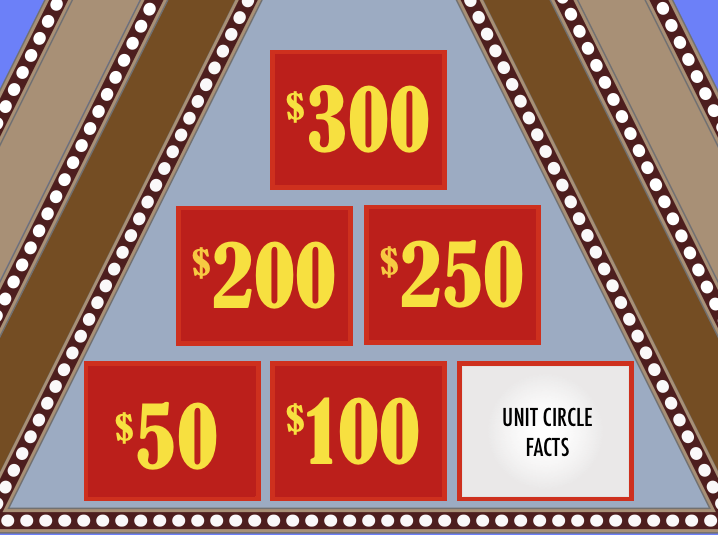 I told students that the slide deck needed to be finished by the night before we were going to play the game in class so that I would have time to choose the final set of questions we would use. They were also on the honor system not to cheat and study the questions (or more importantly the answers) their peers had written. Although the questions the students came up with were not in any way earth shattering, and the formatting of the slides was not as beautiful as it could have been, for a lesson developed in less time than I have spent writing this post about it, it was definitely a success. Students also had a solid bank of questions and answers (including many we did not get to use in class) that they could use for additional review. Here is a link to a Google Presentations version of Danger Cards you can make a copy of and use with your classes if you want to try this activity out. Check out the original Danger Cards post for more details about the game. Rory, who has taken this activity and sprinted with it, has been hounding me to write a post about its creation. At my last school with the encouragement of my colleagues I picked up the physics classes when the physics teacher retired. My first year I did a lot of lousy book labs although I did manage to do the mousetrap car thing. I knew that moving forward I wanted to add more engaging activities for each topic we examined. The Save Kelly activity was the result of my sister coming home from college and telling me about some fun stuff she had been doing at college in her engineering program and how maybe we could turn one of the activities into a lesson connecting to Newton's Laws that my students had been studying. As you are painfully aware your dear friend Kelly is being held by a vicious pterodactyl across the ravine. You gather your wits and take in the surroundings, first you pull out your survival kit and then you also notice two threads stretching across the pit. You figure that if you can transport pennies to Kelly, they can be used to do away with the pterodactyl. Your group must use only the materials provided by the survival kit to design a system to transport as many pennies as possible using the twine. You may not use any tools (scissors, knives, etc) only what is in the survival kit, plus one meter of masking tape. Your contraption must start from rest at the designated spot. Once your contraption is set into motion it may not be touched again. The masking tape must not touch the pennies. If you find you are running low on supplies you may barter with other teams. You are allowed to run trials, but take care not to squander your survival kit. 15 minutes before the end of the block two official trials will be performed; your rank amongst teams will be based on your best trial. Your score will be determined by the distance your contraption travels in floor squares, multiplied by the number of pennies you transport the entire distance. This activity will be written up as a lab report in your lab notebook. a clear connection between the activity and each of Newton’s 3 laws as well as any other pertinent physics topics. the results of the activity and how your team worked together to overcome challenges. For a maximum grade of an A you can turn in an alternative lab report. This written piece could take the form of a news article, a narrative (perhaps from the pterodactyl’s point of view), a journal entry, or something else. The write up's for this activity were always awesome. A million times more enjoyable to read than 60+ (nearly identical) dreary lab reports. Here is a picture of one I saved. Overall, it's a pretty good activity, if you are teaching physics definitely give it a shot with your students. (1) The survival kit basically contained what me and my sister found on a romp through the grocery store, with with some candy and red herrings like penne pasta, manicotti, and marshmallows. It also included a straw and some balloons. Rory put rubber bands in her survival kit as well, but I didn't use to. To make the bags I fed them though my inkjet, which although was probably a dumb idea for the printer, made for some awesome props. Props are huge. (2) The first year I did this I had a student named Kelly. In future years I always implied Kelly was Kelly Clarkson. Which meant I could play «Since You've Been Gone» over and over again throughout the entire lab. Good times.